Samantha Power, the U.S. Ambassador to the United Nations, says the proposed resolution sanctioning North Korea "is the toughest sanctions resolution that has been put forward in more than two decades." 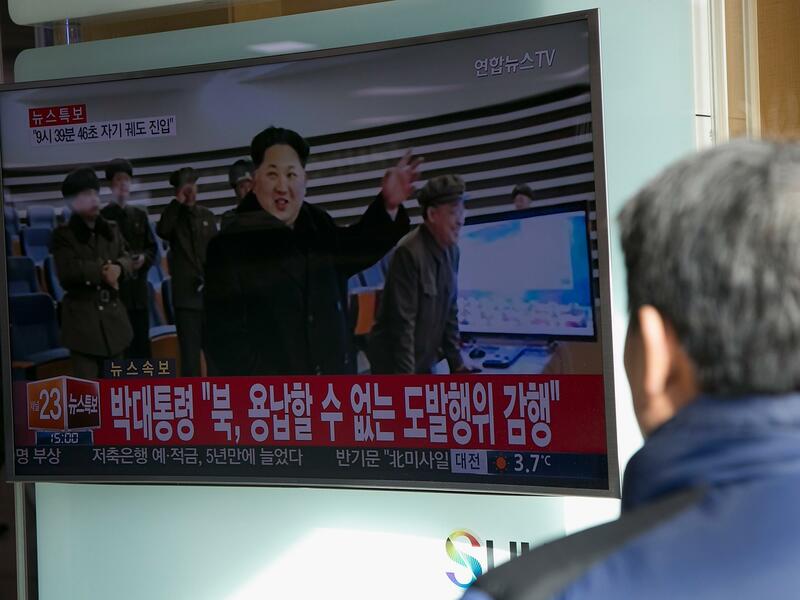 In the wake of North Korea's nuclear weapons test last month and its long-range missile test in early February, the U.S. and China have agreed on a draft U.N. resolution imposing new sanctions on Pyongyang. North Korea is already under a raft of international sanctions, but the new proposal would tighten them and impose new bans. U.S. Ambassador to the United Nations Samantha Power tells NPR's Robert Siegel that the resolution, submitted Thursday to the Security Council, "is nearly unprecedented in many respects and is the toughest sanctions resolution that has been put forward in more than two decades." A vote is expected in the coming days. China is North Korea's most important ally and historically has opposed punishing the regime. But it has given support to past Security Council resolutions imposing sanctions on Pyongyang. "Even over the last couple years, we've seen Chinese acute frustration with Kim Jong-un, the leader of North Korea," she says. "And we have seen China not always being able to influence the regime in the way that they have sought. And I think that's been a source of frustration. I think China's genuinely worried about the threat that Kim Jong-un and his nuclear weapons program poses to the peninsula and to international peace and security." The U.S. had already been in negotiations with China over North Korea's nuclear capabilities when North Korea conducted a nuclear test in January, which it claimed to be a hydrogen bomb. Power says this was a turning point. The United States has gotten one step closer to tougher international sanctions against North Korea. The U.S. ambassador to the United Nations has submitted a draft resolution to the U.N. Security Council, and crucially, the new sanctions have the support of North Korea's neighbor and ally, China. A vote on the resolution could come as soon as the weekend. Earlier today, we spoke to U.N. 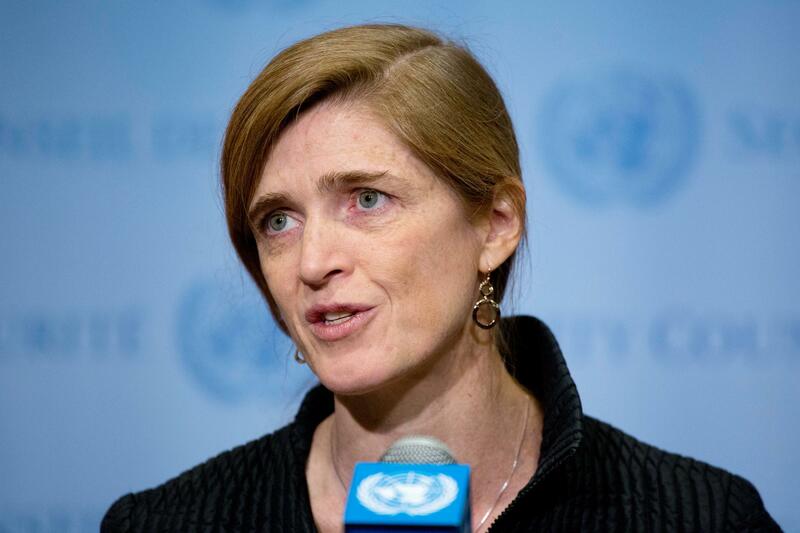 Ambassador Samantha Power. SAMANTHA POWER: This resolution, if it passes, is nearly unprecedented in many respects, and it's the toughest sanctions resolution that has been put forward in more than two decades. SIEGEL: Those sanctions include a mandatory inspection of all cargo leaving or entering North Korea and a ban on selling North Korea any item that could directly contribute to its military. The resolution is a response to North Korea's nuclear testing in January, and Ambassador Power says it's not just sanctions for sanction's sake. POWER: Critically, it also has an effect of impeding North Korea's ability to actually get the technology, get the money, get the know-how that they need to advance their program further. SIEGEL: A Chinese newspaper editorialized about Beijing's view of these sanctions speaking of China cushioning the blow of harsher U.S. supported-sanctions, and the paper made a distinction between sanctions targeting North Korea's nuclear program and a broader U.S. approach. Have you encountered that distinction in your dealings with the Chinese ambassador? POWER: That's an excellent question. And when the negotiation started, that was exactly the line that China took in the negotiations. It's one reason that these negotiations took seven weeks because we were making the argument that the idea of drawing a clean distinction between what was the nuclear weapons program on the one hand and what were other governmental activities and sources of revenue on the other - that that was a distinction that the regime itself from North Korea blurred. And what is hugely significant about the resolution that China has now come onto support is that it no longer insists upon a direct nexus with the nuclear and ballistic missile programs. It recognizes that there are other means that this regime has used as a master of evasion in order to build out its program. And so I think that shift in China's position over the course of this negotiation is historic. SIEGEL: How do understand that change? What was said or done that you think was influential in bringing the Chinese around? POWER: Well, even over the last couple years, we've seen Chinese' acute frustration with Kim Jong-un, the leader of North Korea, and we have seen China not always being able to influence the regime in the way that they have sought, and I think that's been a source of frustration. I think China is genuinely worried about the threat that Kim Jong-un and his nuclear weapons program poses to the Peninsula and to international peace and security. And maybe - it's very hard to speculate, but an additional source of frustration was that after the nuclear test, when we had already started the negotiations on this resolution, China sent its nonproliferation envoy to Pyongyang in order to urge that they do nothing else, you know, particularly while these negotiations were underway - no more ballistic missile launches, satellite launches, space launches. And no sooner had the envoy left Pyongyang then the North Korean regime fired the equivalent of a ballistic missile, a space launch. And I think that was something that probably, if I had to - certainly on the basis of how our negotiations picked up speed at that point, I think that was a source of great irritation for China. SIEGEL: Ambassador Power, when sanctions are imposed, there's always the question of what the sanctioned country would have to do or could do to have the sanctions lifted. In this case, what would constitute compliance on North Korea's part to lead to a lifting of these sanctions? POWER: Well, I think the most important step that North Korea could take would be to come forward and say, we are willing, finally, again, to go back to the six-party talks, that we are prepared to have discussions about how to get to denuclearization. SIEGEL: But you know the counter complaint is they'd be lying in the talks anyways, which critics would say. What's the point? POWER: Well, I mean, interestingly, they haven't even been willing to lie (laughter), so they have not been willing to come forward with that predicate for those talks. And it is extremely important to have a diplomatic track, just as it proved very important in the Iran context. But it takes six to tango, I guess in this case, and North Korea has been very reluctant to pursue the kind of diplomacy that we think is necessary. SIEGEL: That's Samantha Power, U.S. ambassador to the United Nations. Ambassador Power, thanks so much for talking with us today. POWER: Thank you for having me. Transcript provided by NPR, Copyright NPR.